It’s the summer of bees! A great time to visit the world’s largest Honeybee exhibition; BeeWorld! The interesting displays and exhibits will teach you fun facts about the honeybee before you take a closer look inside the working hives. Nowhere in the world can you get so close to live bees without needing protective equipment! This is also where you will see the behind the scenes honey production areas and take the journey from hive to jar. You may wish to take one of the daily guided tours or walk around at your own leisure. Join in with the full day of activities, including the chance to make some beeswax candles and learn more about the diverse types of honey at a tasting session. 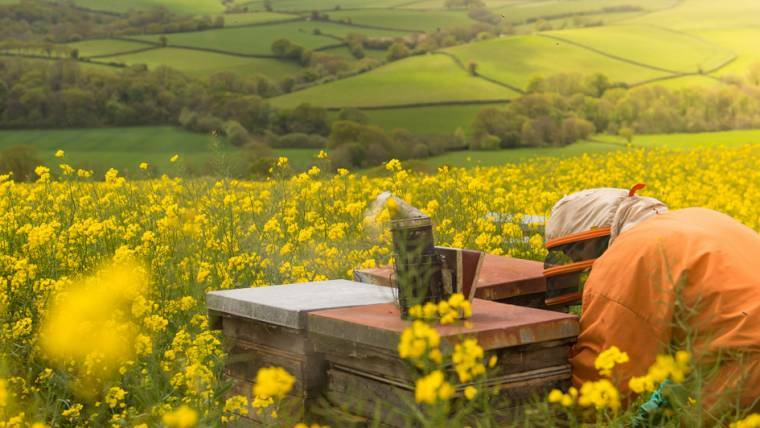 Watch a live beekeeping demonstration or even try your hand at a spot of beekeeping which gives you a unique opportunity to work alongside a beekeeper and learn more in depth about bees and the art of beekeeping. (You can sign up for this on the day). The Happy Bee Play Hive; the large indoor soft play area with nets and ropes to climb over, perfect for young visitors and young at heart! This is also where you will find a world of bugs at our Critter Cabin, learn all about our different critters and get hands on if you dare! Relax in our cafe where we offer homemade food and our freshly baked treats including our four seasons honey cream tea. Visit the honey farm shop to see the array of honey products on offer as well as beautiful handmade beeswax candles and skin care.